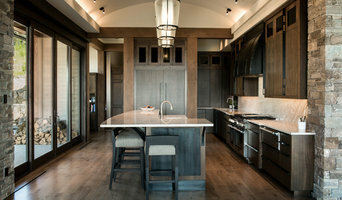 For over 20 years, Montana Tile & Stone has been a premier supplier, fabricator and industry leader in fine natural stone, artisan ceramics, glass tile, porcelain tile, reclaimed stone & slabs. Architects, interior designers, general contractors, and other trade professionals depend on Montana Tile for material and design support. Our Bozeman, MT facility has over 30,000 square feet of showroom, slab yard, and warehouse - offering materials and a design team which rivals the leading tile and stone showrooms worldwide. Industry design professionals specify Montana Tile & Stone’s products for residential and commercial projects nationwide and in Canada. As an import company, Montana Tile & Stone offers extraordinary options and value to the consumer. 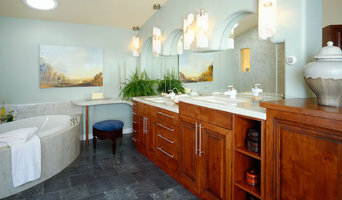 Montana Tile & Stone considers stone/tile design and the selection process to be of the utmost importance. This philosophy has a large impact on every project and allows the client to receive the best possible product and finish. We strive to make this process an exciting and rewarding experience for all involved. Our fully trained design staff can provide to-scale architectural AutoCAD drawings to assist with conveying the finished look of products and designs to clients. These complementary design services are unique to the industry and available to every customer with the purchase of materials – with no additional costs. Finally, this support, with specific attention to quality and detail, is continued throughout the installation process – right up to project completion. It is Montana Tile & Stone’s firm belief that reputation is dependent upon a project well managed and an extraordinary finished product. These services, along with constant attention to detail, and an underlying belief in high standards and quality, set Montana Tile & Stone apart from all competitors. 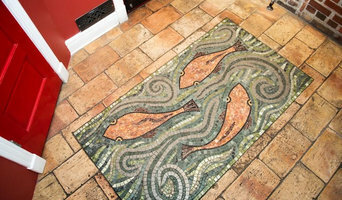 Thirsty Lake Tileworks designs and builds custom mosaics for any and all applications. From custom homes to restaurants and public spaces, we provide technical expertise and attention to detail in creating unique tile work. My experience comes from years of working with tile - designing both large and small scale pieces, making mosaics, sculpting with clay and installing architectural features. I love collaborations with clients to develop inspirations and ideas, and with other artisans to bring great projects to life. Born in New Zealand and graduated from the University of Auckland, and subsequently traveled. Spending time in Africa and living in London, England between adventures. Returning to New Zealand to study photography and design, I began to focus my energy on the visual and practical arts. I moved to the United States and have been living in Montana since 1996. While building and renovating houses, the tile business grew into the creative enterprise that it is today. 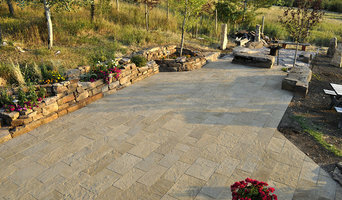 Select Stone is a supplier of fine masonry and landscape stone to projects throughout the United States. Every year millions of pounds of waste material from the granite fabrication industry is sent to the landfills. 20 - 30% of a typical granite kitchen installation is waste. StoneTek is working with fabricators and has developed a recycling program to collect and divert this material from the landfill. Using patent machinery and equipment StoneTek transforms this this waste material into a variety of 100% reclaimed, solid stone products. Never crushed or reconstituted this innovative manufacturing process allows StoneTek the ability to create and customize products out of some of the most beautiful and exotic stone from all around the world. “One stop for all your hard surface needs.” Ceramica Specialty Tile has been servicing the Gallatin County for over 17 years. Our In-house design team uses our years of experience to make your selection process easier. We help you put your project together one room at a time to create a home or business you have been dreaming of at any budget. Onyx provides tile, stone, and insight work for projects at every stage and any scale. We can help with the design process, taking time to understand the particulars of the space and your vision. We work diligently to ensure proposals and timelines stay on track and on schedule, and we’re always available to answer your questions. Ask Ashley what she loves about her work, and her passion spills out in a rush of sensory reverie. “I’m fascinated with the real, raw materials – marble stone veining, handcrafted Moroccan tiles delicately painted with ancient arabesques and historical colors and glazes, all of these incredible earthen pieces which come from an artisan’s relationship with their culture. That’s what I delight in, and that rich, multilayered experience is what I want to share with my clients.” Or ask one of her loyal clients, and they’ll share their enthusiasm for her product knowledge, exclusive collections, and customer service. Onyx – formerly Fantasia Showroom – has earned a local reputation for being the perfect complement to a visionary kitchen or bathroom project. Ashley Hertz draws from over a decade of experience, getting her industry start at age 18. She worked for a variety of Bozeman vendors, discovering and honing her approach to design, before eventually purchasing Fantasia Showroom in the fall of 2017. Fantasia began seventeen years ago on Main Street as the only boutique tile showroom in the area. Now under the name of Onyx, with Ashley at the helm, we continue to serve tradespeople, architects, designers, and homeowners in Bozeman and the Yellowstone region. From sophisticated and one-of-a-kind to classic and economical, every product in our showroom has been carefully chosen for its beauty and quality. Let Onyx help you kickstart the creative process and discover the perfect materials and design for your project. Call us or visit our downtown Bozeman studio today. From Quarry to Countertop. Real Stone, Real Value. We are the only Marble Institute of America-accredited stone fabricator in SW Montana and have an onsite inventory of 600+ slabs. We also sell Silestone, Caesarstone, Dekton, and represent Intrepid Marble & Granite, Cactus Stone, The Stone Collection, and Arizona Tile. We are an all-digital measurement, templating, and fabricating business. Retailer of finish products including tile, stone, wood flooring, cabinetry, fixtures and fitting, hardware, and much more. Ask Ashley what she loves about her work, and her passion spills out in a rush of sensory reverie. “I’m fascinated with the real, raw materials – marble stone veining, handcrafted Moroccan tiles delicately painted with ancient arabesques and historical colors and glazes, all of these incredible earthen pieces which come from an artisan’s relationship with their culture. That’s what I delight in, and that rich, multilayered experience is what I want to share with my clients.” Or ask one of her loyal clients, and they’ll share their enthusiasm for her product knowledge, exclusive collections, and customer service. Onyx – formerly Fantasia Showroom – has earned a local reputation for being the perfect complement to a visionary kitchen or bathroom project. Ashley Hertz draws from over a decade of experience, getting her industry start at age 18. She worked for a variety of Bozeman vendors, discovering and honing her approach to design, before eventually purchasing Fantasia Showroom in the fall of 2017. Fantasia began seventeen years ago on Main Street as the only boutique tile showroom in the area. Now under the name of Onyx, with Ashley at the helm, we continue to serve tradespeople, architects, designers, and homeowners in Bozeman and the Yellowstone region. From sophisticated and one-of-a-kind to classic and economical, every product in our showroom has been carefully chosen for its beauty and quality. Let Onyx help you kickstart the creative process and discover the perfect materials and design for your project. Call us or visit our downtown Bozeman studio today. Interior natural stone installation, restoration & maintenance. We are expert craftsman who provide high level service, installation and a professional approach to every project. We have been in the industry 20 years perfecting our craft. At Noble Works we can design and cut anything you need out of metal. With our CNC plasma table the possibilities are endless. We will cut one off designs as well as volume production. GeoMatrix manufactures alternative concrete products using recycled glass and fly ash resulting in a 98% recycled matrix. Our product lines include counter tops, vanities, sinks, hearths, mantles, shower surrounds and pans, poured floors, picnic tables (can be seen in Yellowstone National Park) and benches and many other castable items. Serving the Gallatin Valley for over 16 years. From small remodel jobs to multi-million dollar mountain homes, if it's a tile or stone project, we take the time to do it right. Pursuing excellence, one tile at a time. If it involves tile, stone or another countertop material, odds are this pro can tackle the job. With comprehensive knowledge of which surfaces will work best in various locations within the home, Montana tile, stone and countertop contractors can help you select the ideal material for the intended application. Some focus on kitchens and bathrooms, while others handle outdoor projects, such as walkways. In addition to basic surfaces, many Big Sky, MT tile, stone and countertop contractors can create and install murals and mosaics, as well as add decorative edge treatments to countertops. They also repair or replace surfaces in the event of chips, cracks, stains or other damage. Many tile, stone and countertop professionals also install shower pans, radiant-heat flooring systems and other common components of surfacing jobs, often working in tandem with Big Sky, MT plumbers or other professionals. Here are some related professionals and vendors to complement the work of tile, stone & countertops: Interior Designers & Decorators, Architects & Building Designers, General Contractors, Kitchen & Bath Designers, Design-Build Firms. Find a tile, stone and countertop contractor on Houzz. Narrow your search in the Professionals section of the website to Big Sky, MT tile, stone and countertops. You can also look through Big Sky, MT photos to find tile, stone and countertop projects you like, then contact the contractor who worked on it.